ForgeFX is a proud software development partner of Godfrey, a leading global B2B marketing agency. In business for more than 60 years, with more than 30 years of business to business marketing, Godfrey serves more than 40 clients across dozens of industries. Godfrey partnered with ForgeFX to develop a Google Cardboard VR product viewer to demonstrate their client’s products in virtual reality. 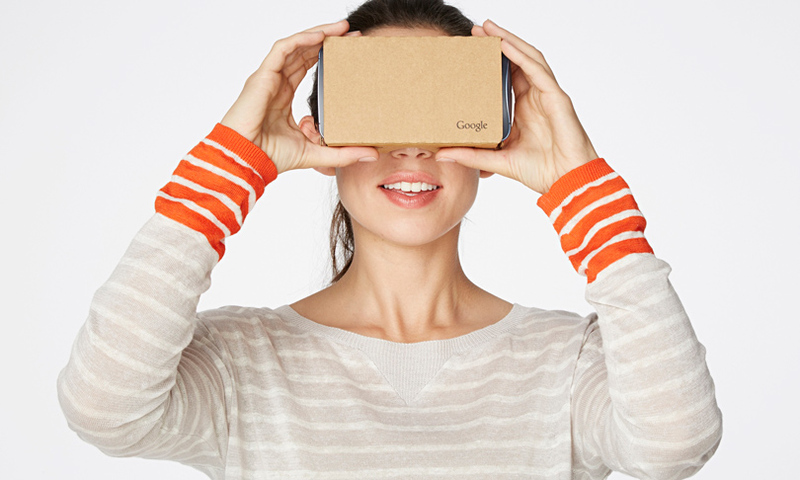 Google Cardboard: “a virtual reality (VR) and augmented reality (AR) platform developed by Google for use with a fold-out cardboard mount for a mobile phone. It is intended as a low-cost system to encourage interest and development in VR and AR applications.”. Using our simulation engine, ForgeFX developed a Samsung-based app that works with the Google Cardboard viewer to allow products to be visualized and experienced in virtual reality. ForgeFX helped Godfrey deliver an affordable Virtual Reality application for one of their clients that needed a quick VR experience for a tradeshow. By rapidly developing a Google Android app, deployed on a Samsung phone and inserted into the Google Cardboard, ForgeFX was able to deliver a cutting-edge VR platform quickly and economically.